NEWPORT BEACH — On Oct. 17 American Legion Yacht Club hosted the 26th Sailing Day for the Visually Impaired. 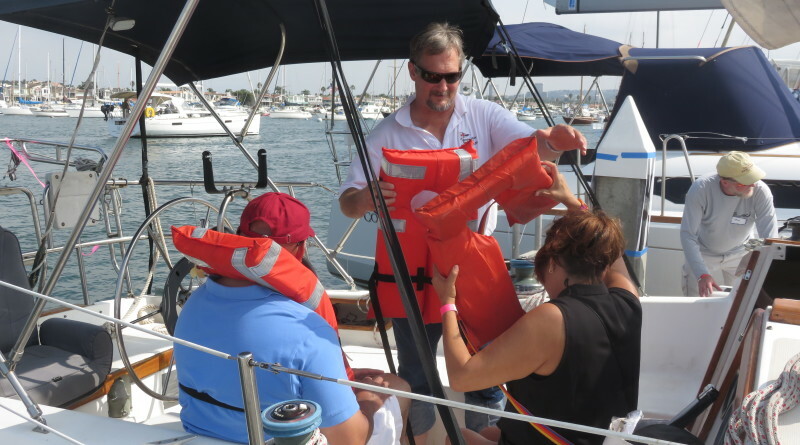 The Women’s Sailing Association—Orange County (WSA-OC) sponsored 159 guests to attend the event hosted by the American Legion Yacht Club and Post 291 Family. Nine of the guests were accompanied by their guide dogs. Every other day the dogs are working around the clock, but on this particular day they enjoyed a day of fun just like their owners. They were able to play with other guide dogs and romp in a pool while their masters were busy sailing boats all over Newport Harbor. The day started with breakfast prepared by club members, followed by four hours of cruising in one of 47 sailboats provided by members of half a dozen yacht clubs. Lunch was served back at the Legion Post.